A 73mm tall, 58mm wide vehicle of light. Square cut lips. A Centerset core with a new construction that offers a better support for the urethane. 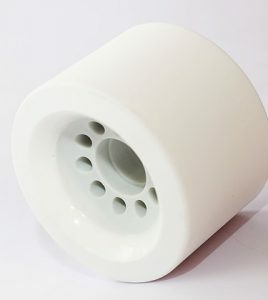 New 81A White urethane formula that will improve the wear, maintain the grip and loose traction when needed. We decided to prototype some cuts and as we thought, the changes were dank! 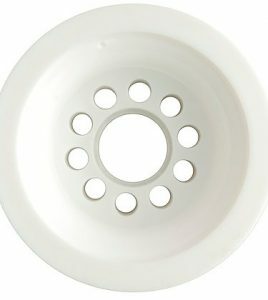 So we tweaked a bit our classic shape to bring you a slidier version of an already epic wheel . Now with a centerset core placement, grounded skin and 53mm wide, these beauts are ready to lay some love lines right away! We prototyped it, You prototyped it and we knew we had to make more. Finally with a new name and Graphic. We are happy to introduce our newest member of the family. 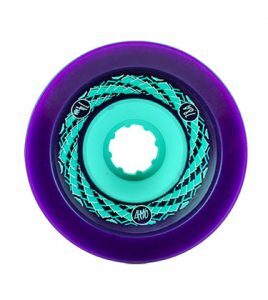 With a proper Rebirth, The Mukti wheels are here to help liberate and release every soul from it’s Downhill fears. At 72mm with grounded skin and rounded lips. 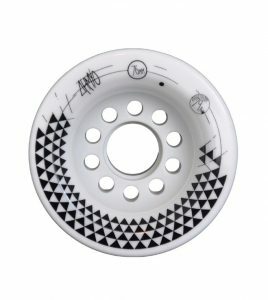 34mm contact patch and our known and loved 81a thane. 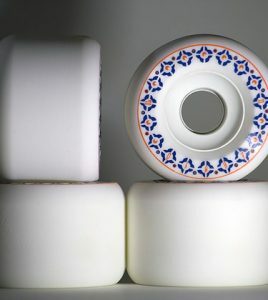 Mukti’s are the wheel you need to #trustyothane and rip some hills sideways! From the Seeds of our creation to the healing Quartz of Earth’s lineup. A 64mm 84a Vibe has emerged. 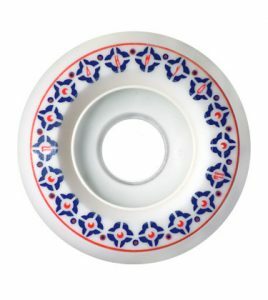 With a new formula on a smooth grounded surface, a rounded outer edge, and a small but sharp bevelled inner lip. Ethereal drifts and transcendental slides will pour from the frequencies of these higher VIBEZ. Welcome the new #AHMYOPRANA V2! 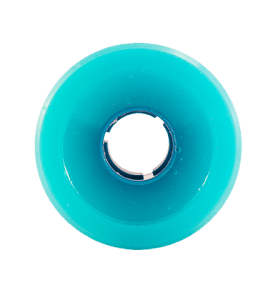 Now at 74mm with a new and strong core, a new formula chosen to emphasize the absolute control and consistency in a 78a duro for that cushy feel. With a centerset core position that highlights the outer and inner grippy lips that have enough meat to dive into any tight turn and feel hooked to the pavement knowing and more importantly, feeling exactly where the edge of that grip stands and how easy the kick out will be. A 76 mm tall 57mm wide essence of pure Downhill. With a 79a compact formula for those easy smooth slides and soft ride. A Tall, vented and stronger core to maximize acceleration.For the core placement we selected something different. 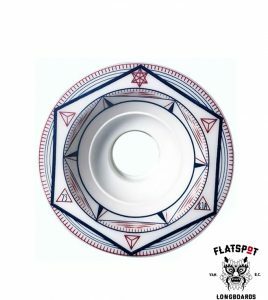 We called it “INSET”. If you have turned your offset wheels around, you know what this feels. 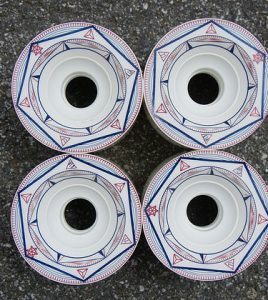 The inner lips will maintain the grip while the outer one will help you drift easily when needed, even freshies.